Currently Reading: Flashfire by Deborah Cooke Hmmm, another dragon tale...I adore this series. Quote of the Day: Guard well within yourself that treasure, kindness. Know how to give without hesitation, how to lose without regret, how to acquire without meanness. Yeah, that's definitely an interesting ad, but knowing nothing about the soap, I gotta wonder. Kindness, oft neglected, or sometimes offered to the unworthy instead of the worthy. 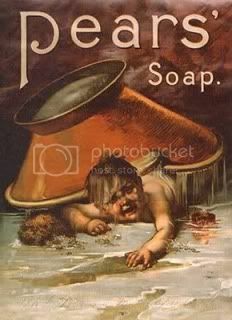 Yeah, I wonder how well the soap did with such disturbing ads...I vaguely remember seeing a bar at my grandparents home, I think. Oh yes, dragons. Love them!! Very true, Savanna, kindness is sometimes offered to those unworthy which is truly a shame. The only greater gift one can give, imho, is love.